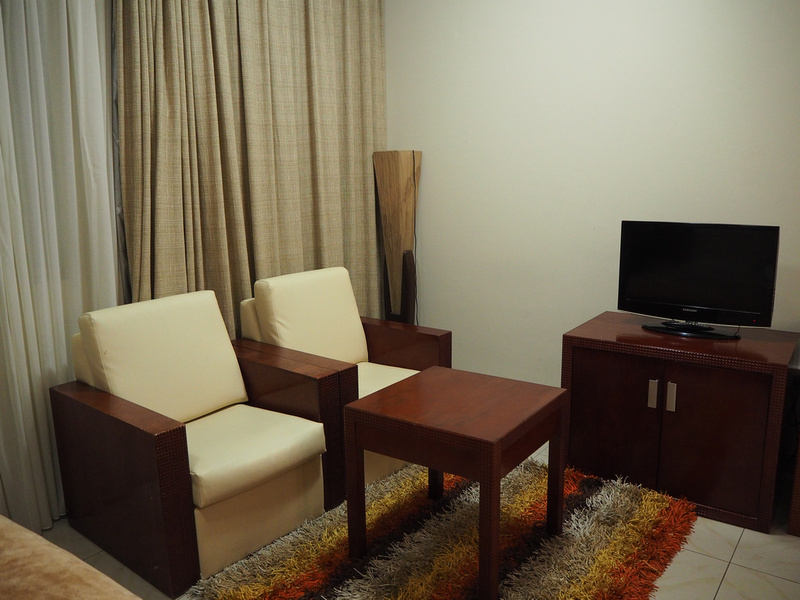 Address: Al Estiqlal Street (Immigration Road), Near Al Bustan Hotel – Sharjah, United Arab Emirates. 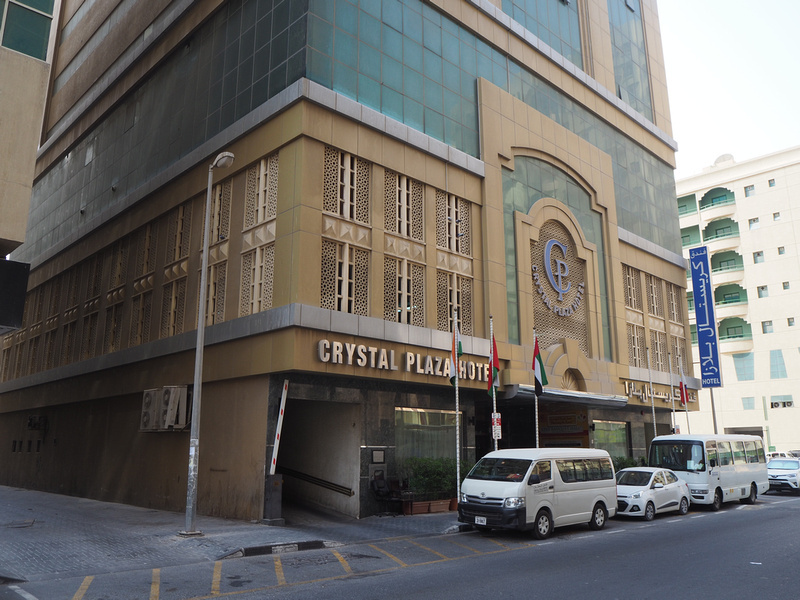 The Crystal Plaza Hotel is a 3-Star hotel in central Sharjah, United Arab Emirates. 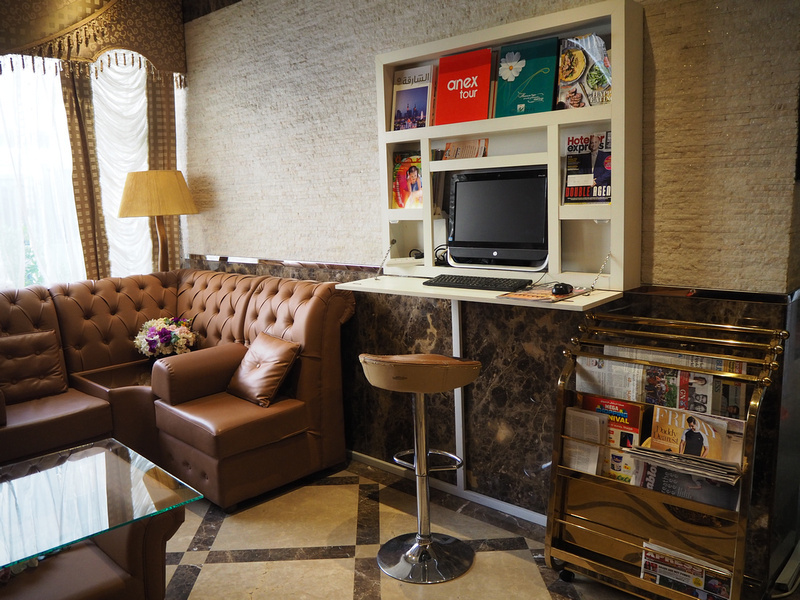 I booked online for the rate of 125.88 AED ($34.27 USD), which includes 5 % VAT, 10 % service charge, and 10 % city tax. I was not familiar with Sharjah so I tried to pick something close to public transport and near the city centre. It turned out to be a good pick for location. I arrived via Sharjah Airport and the closest bus was the #14. The bus stop is about 12 minutes walk to the hotel. At any other time of year this is quite reasonable, but as I arrived in the middle of summer it was a sweaty walk. Even at 11pm it was still 35c, so keep that in mind if you are thinking of getting the bus. There is no street number on the booking listing, but the hotel is accurately located on Google Maps. I don’t know how we ever did travel before Google Maps. I had loaded my map before I arrived and followed the blue dot to the hotel. I arrived to a gloriously air conditioned reception and got a friendly greeting by Filipino staff, which I soon discovered that Sharjah is running on the labour of Filipinos and South Asians. 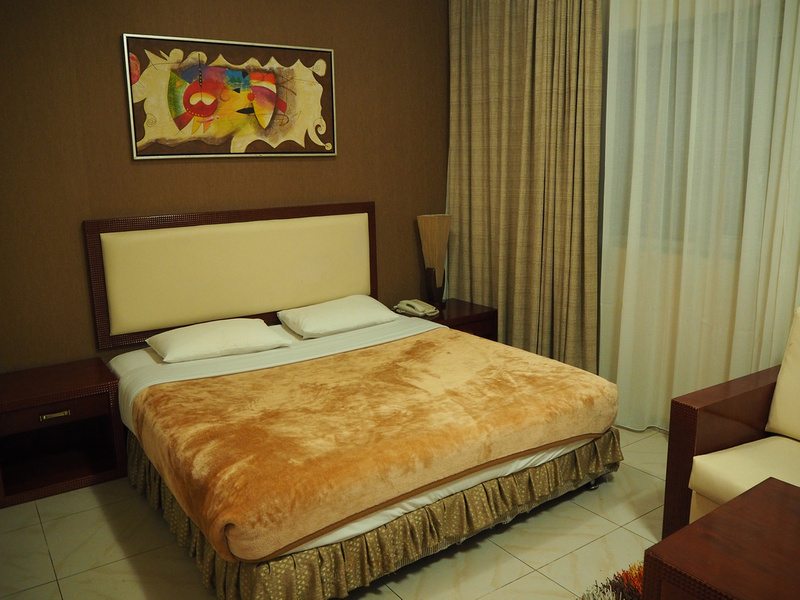 I got a double room and my room was modern and spacious. The bed was comfortable and there were power outlets near the bed. There is free wifi at the hotel, and I got a good signal in my room. My room had more space than I needed, which was a nice change to the small rooms of East Asia I had experienced in the last few months. The building must have been insulated for the desert heat as I didn’t realise the A/C wasn’t on and I didn’t need it to sleep. It was only during the day that I realised the A/C wasn’t on. 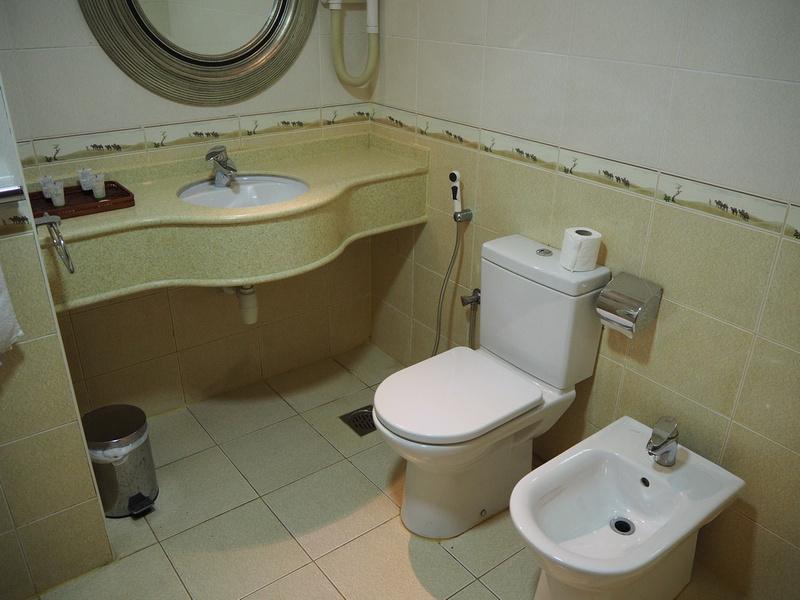 A spacious bathroom with the choice of a bum gun and a bidet. Oh what rear end luxury. In the lobby there is a lounge area and a dining/meetings area. I got the cheap room with no breakfast so I didn’t see their breakfast offering. I found an Indian workers cafe nearby and got a cheap Indian breakfast instead. For sightseeing I thought the location was good. It’s 20 minutes walk to the Central Souq, which is also close to the fort and old town area. The city is quite spread out though, so an option is to get to the Souq and get the tour bus from there. At the airport bus stop there is also the express bus to Dubai. Overall this was a great place to stay in Sharjah. 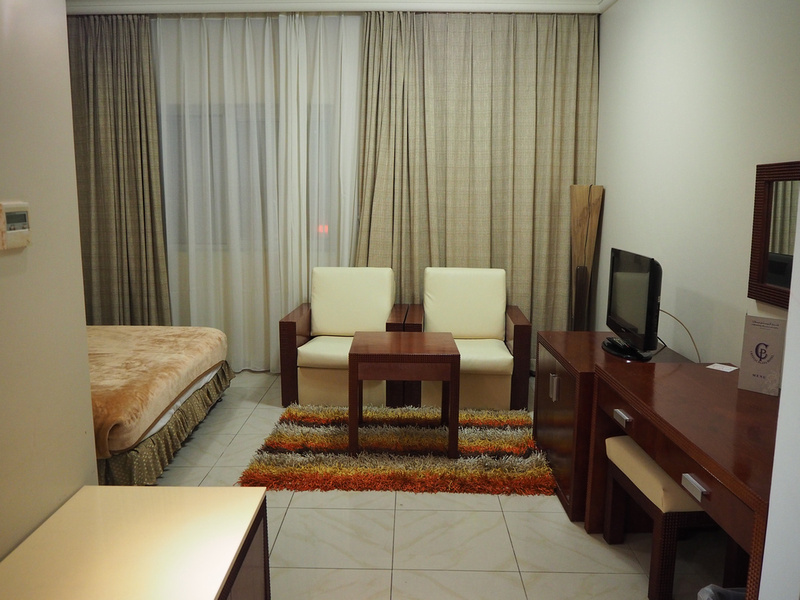 It was a great price for the location, and the room was spacious and comfortable. 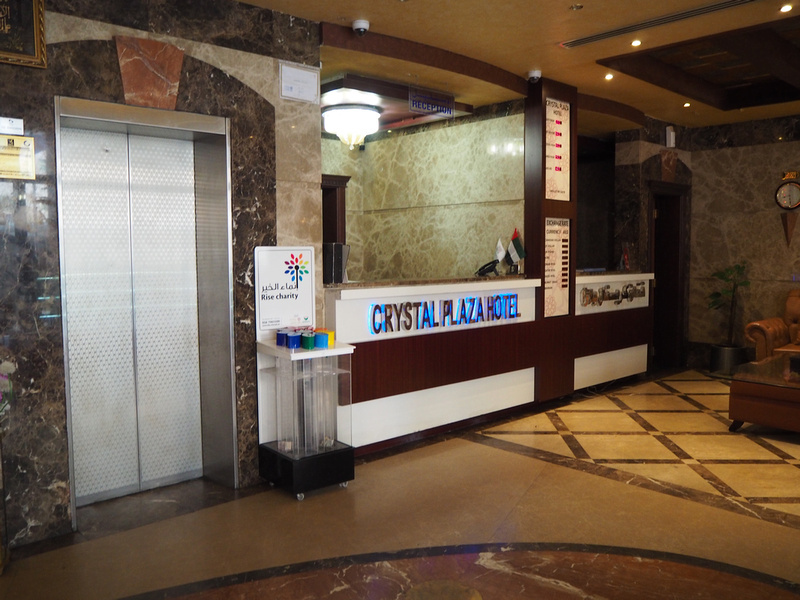 Book the Crystal Plaza Hotel online or search for more hotels in Sharjah.